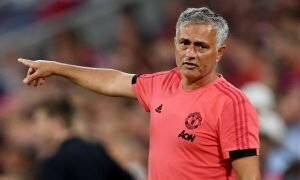 United Target More Likely To Move To Paris Than Manchester | The Transfer Tavern | Where football transfer rumours fly or die! 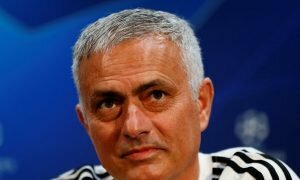 Manchester United have been linked with a move for Porto’s Colombian wonderkid James Rodriguez for some time now, but with Real Madrid and Paris St-Germain also on the trail of the 21-year-old, Sir Alex Ferguson will have a lot of work to do in order to capture the ‘South American Cristiano Ronaldo’. Ferguson is keen to find a replacement for the unsettled Nani, who could leave United as early as January. The Portuguese winger has been marred by inconsistencies over his five year spell at Old Trafford, and Ferguson may find that now, rather than later, is the best time to offload the 25-year-old. Having already spent £56m on new talent this season, and with Rodriguez expected to cost in the region of £25m, Ferguson may be forced into selling before he can bring in any new talent into the club. This conundrum is likely to play into the hands of United’s rivals in the chase for Rodriguez’s signature. The cash-rich PSG and Real Madrid are likely to have fewer qualms about stumping up the cash in January. With a plethora of attacking talent already in the squad, it is difficult to see exactly where Rodriguez would fit into the Real Madrid set-up, with Cristiano Ronaldo and Angel Di Maria posing difficult obstacles to overcome for a regular first team place. There is less of a battle ahead of Rodriguez for a position in PSG’s starting line-up, particularly with the aging Nene expected to be moved on in the next twelve months. With the Parisians likely to have the cash and a place in the starting line-up readily available by January it may be them rather than the two European giants who pull off a move for the Colombian.